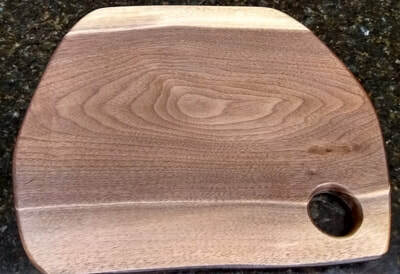 ​To see what I am currently working on, go to my Facebook page. 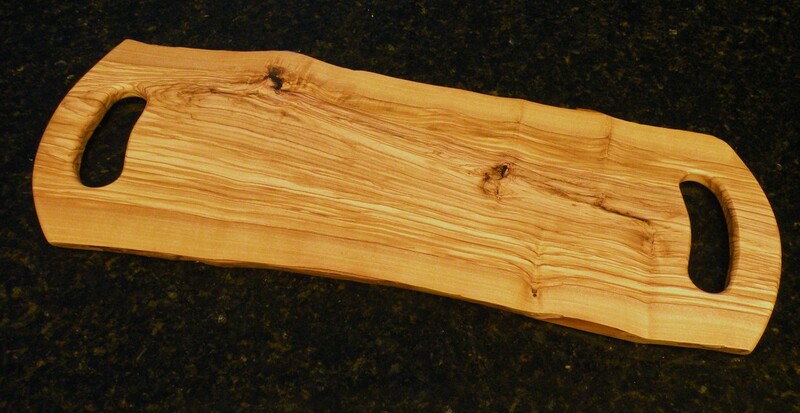 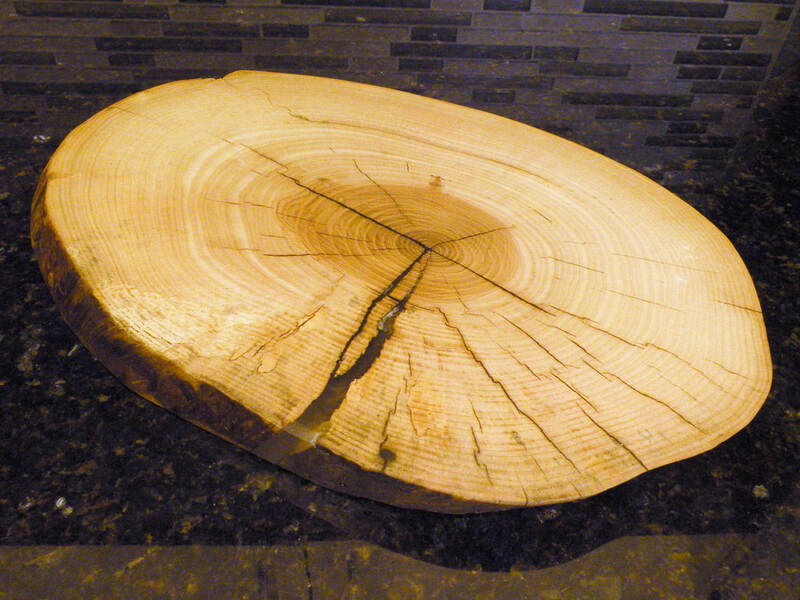 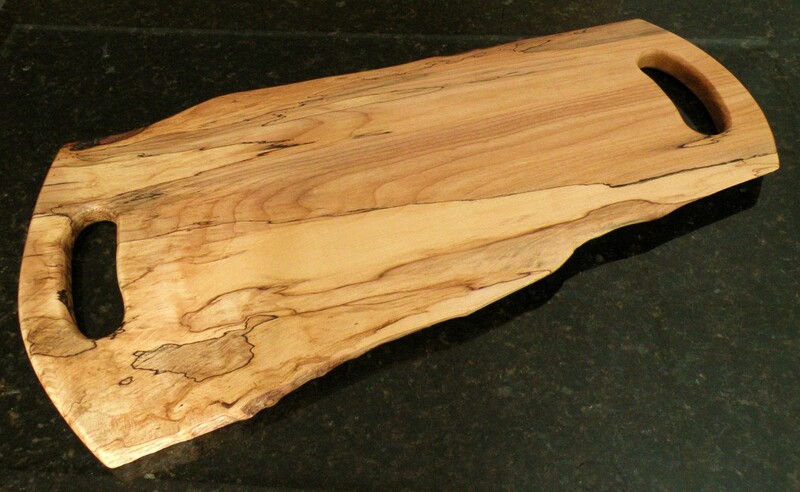 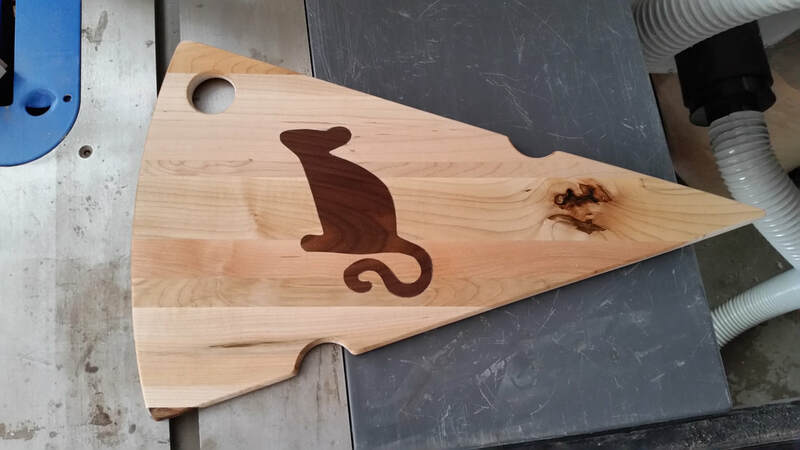 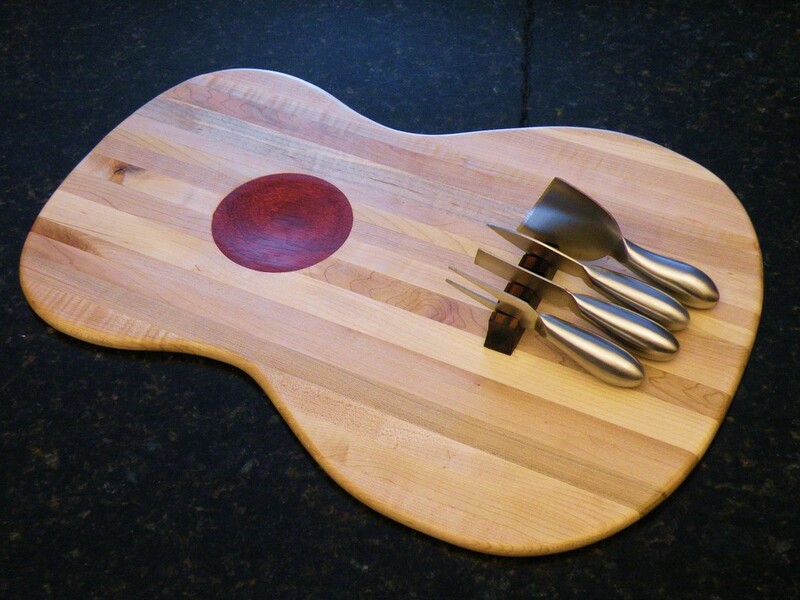 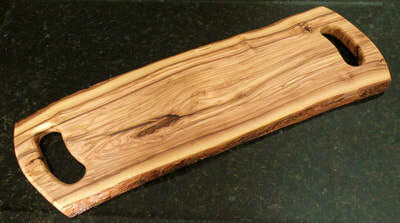 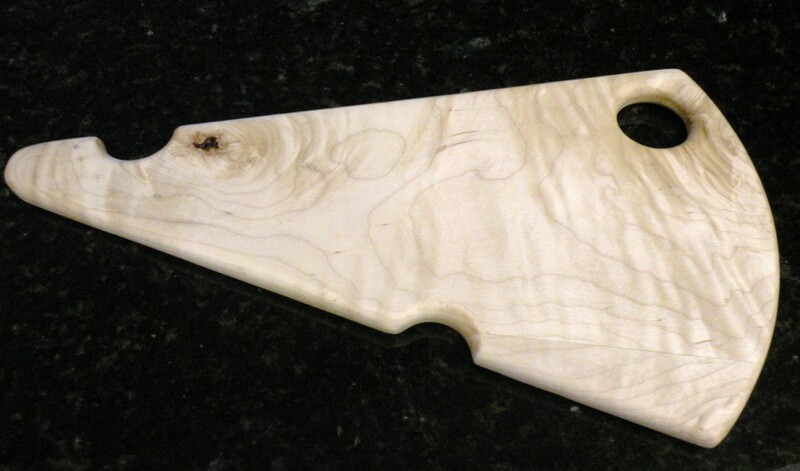 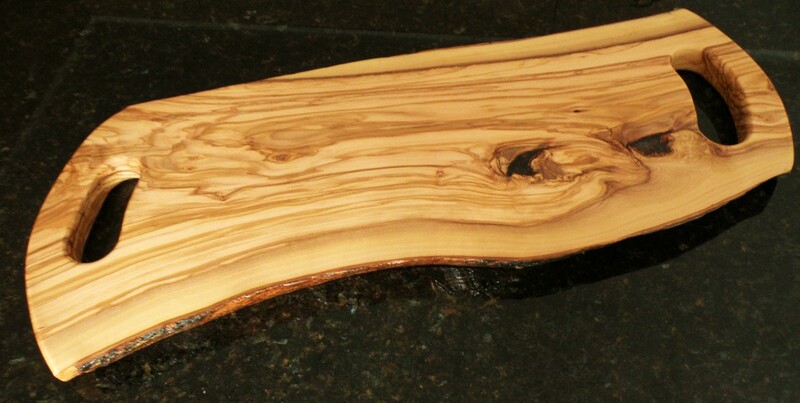 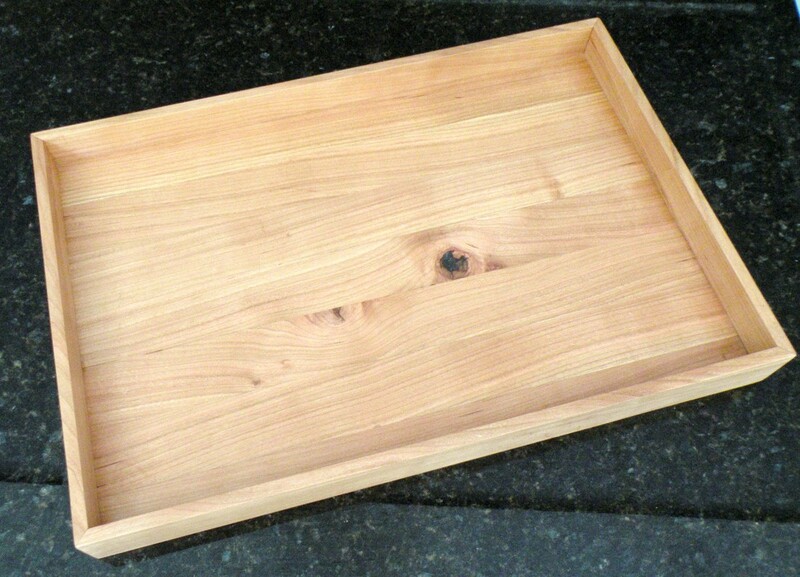 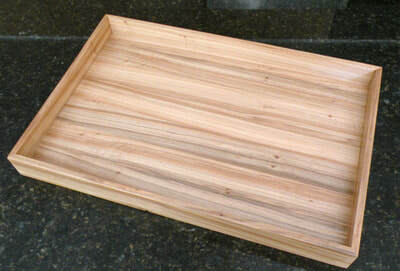 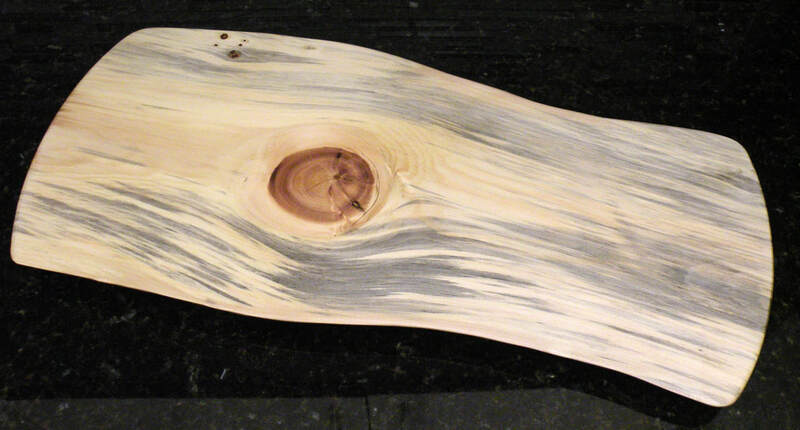 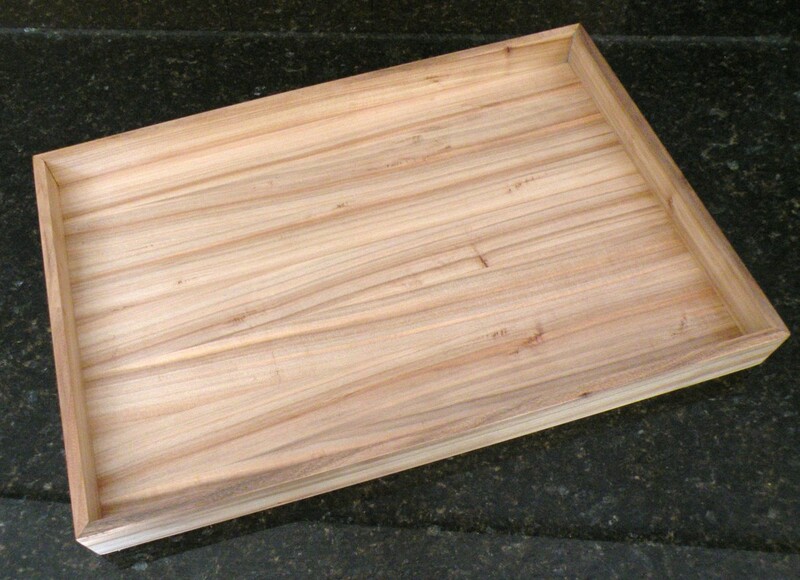 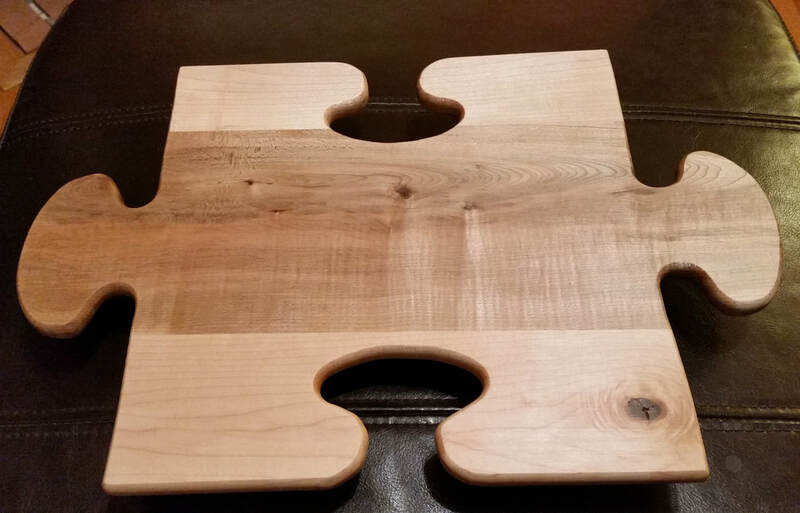 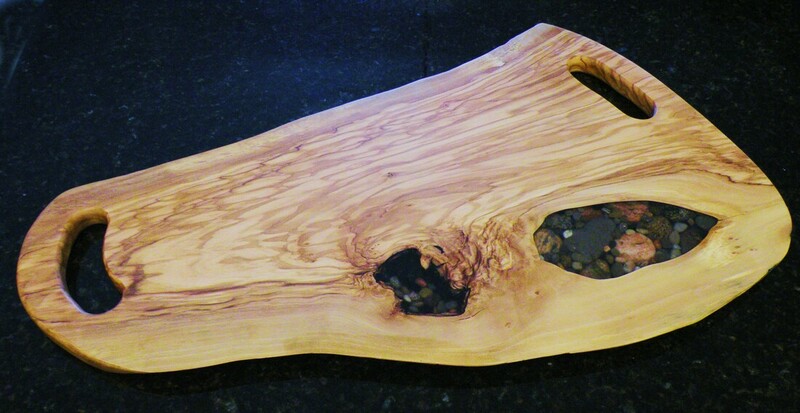 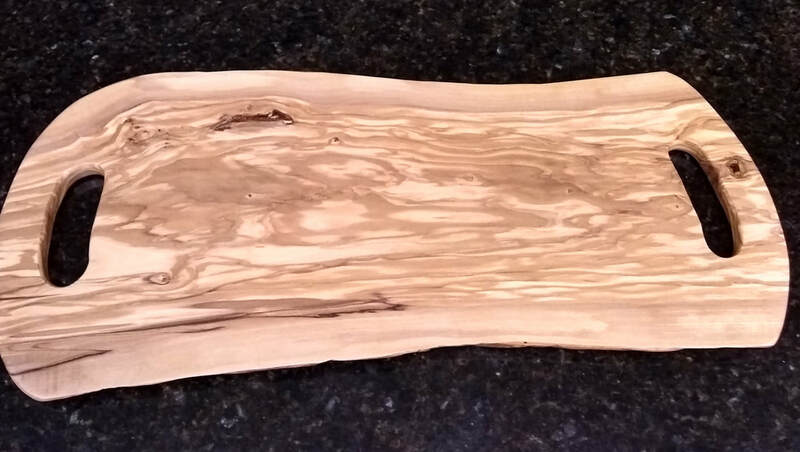 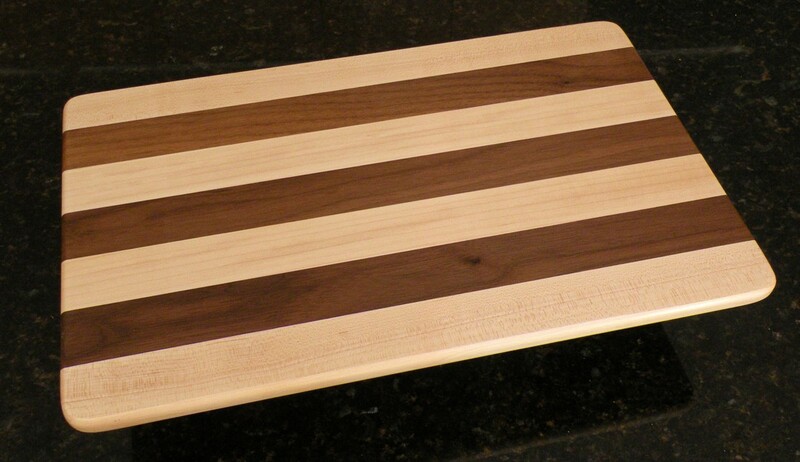 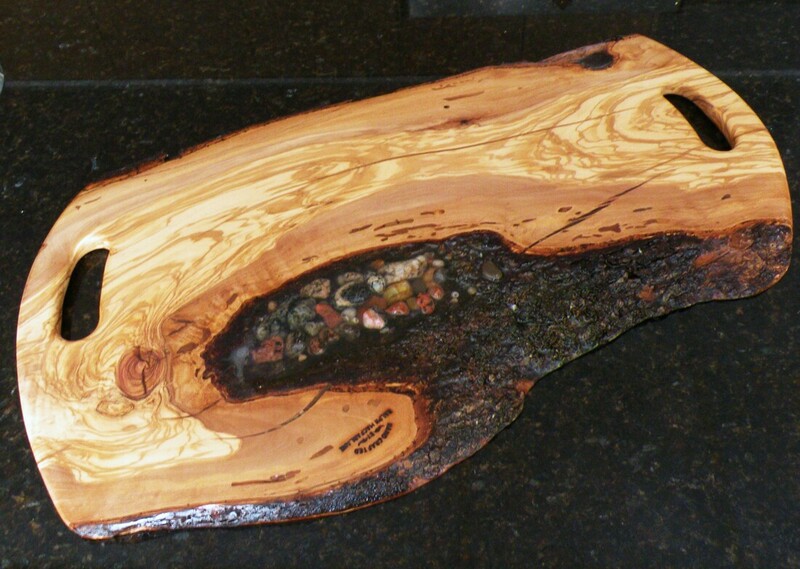 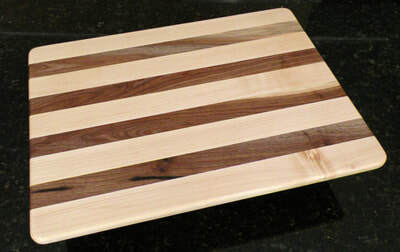 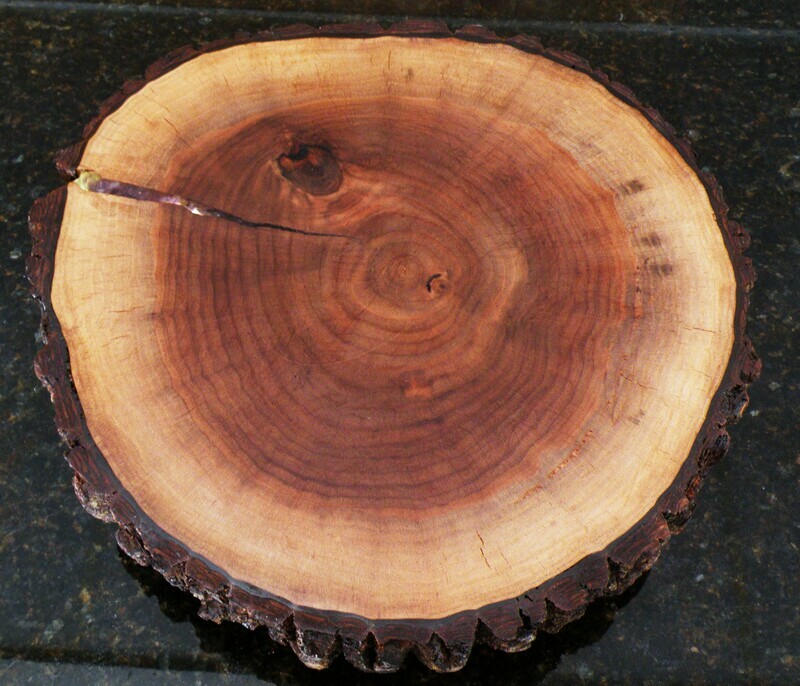 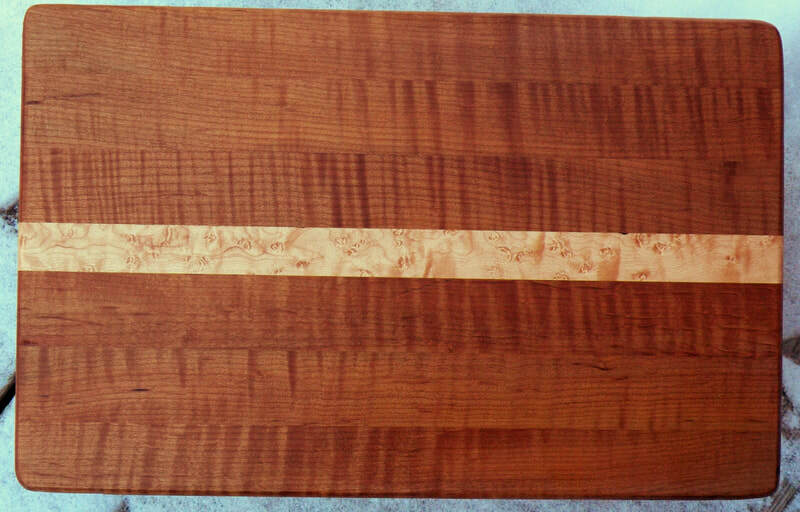 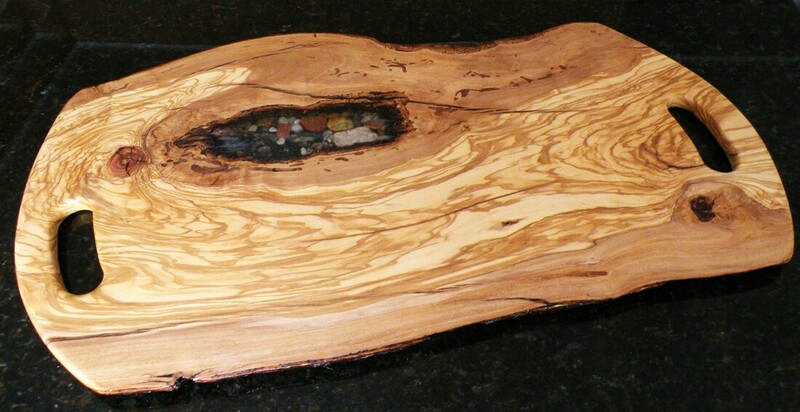 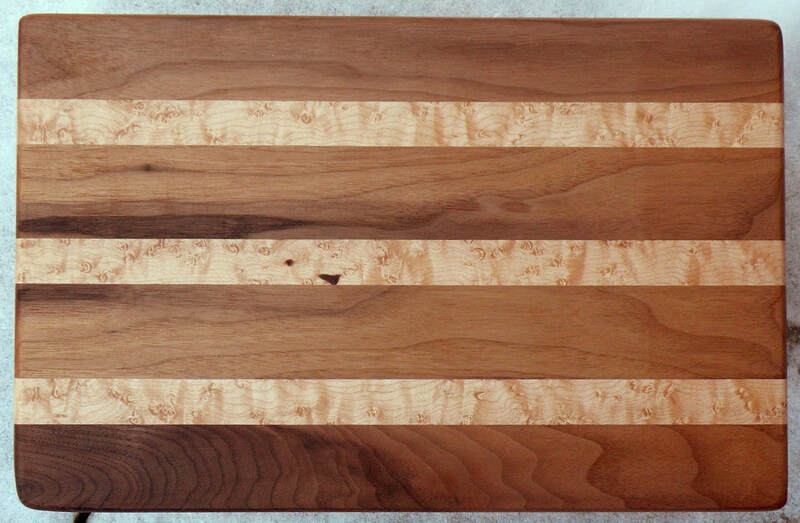 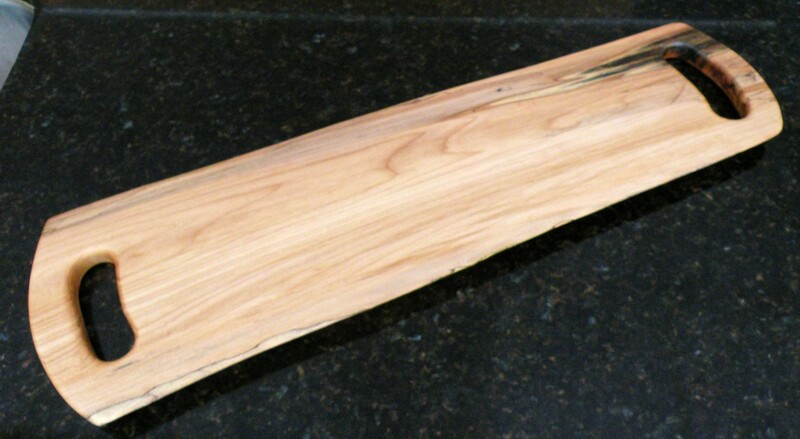 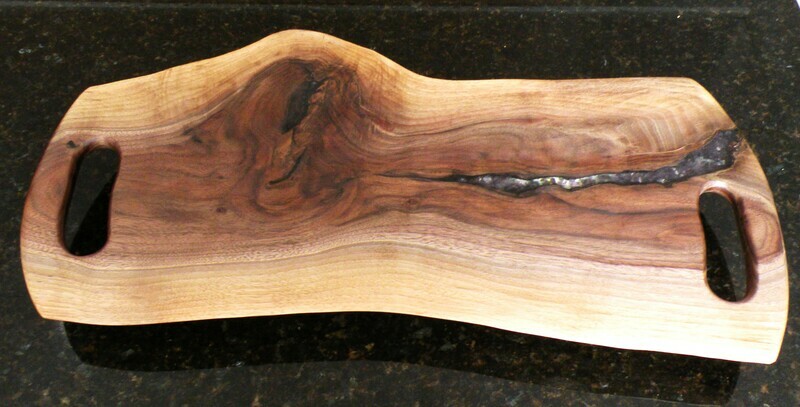 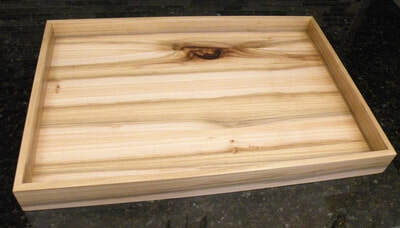 River Rock charcuterie board in live-edge imported Italian Olive wood, finished in food-safe wood oil. 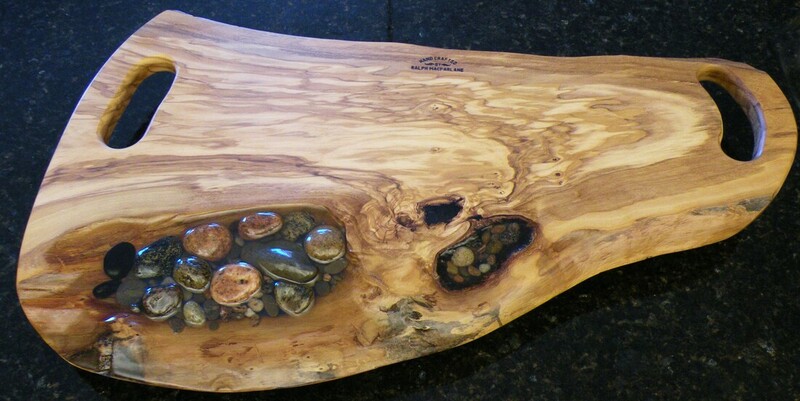 Natural opening filled with carefully selected river rocks, preserved in epoxy resin. 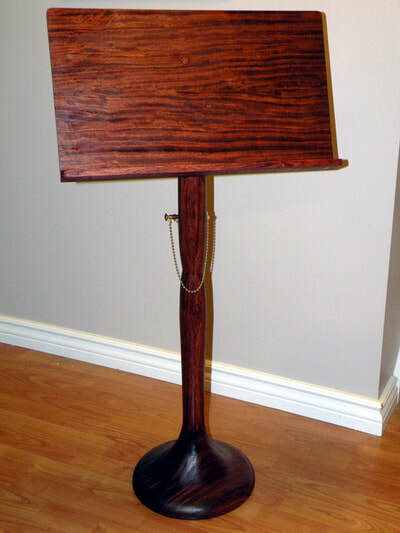 Approximately 26” by 16"
Red oak finished in Jacobean stain and antique wood oil. 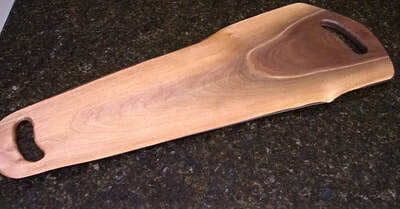 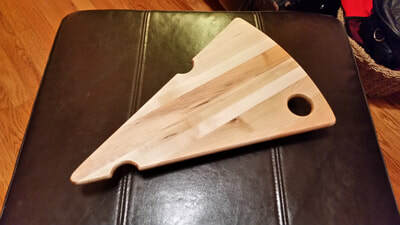 The base is 12" across and the shelf is large, 19" by 13". 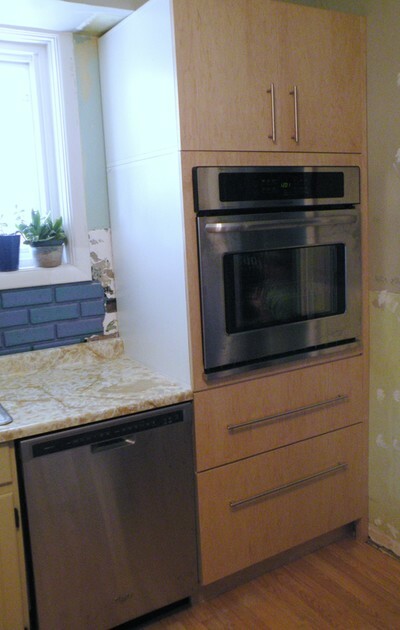 The height adjusts from 36" to 49" in 2" increments. 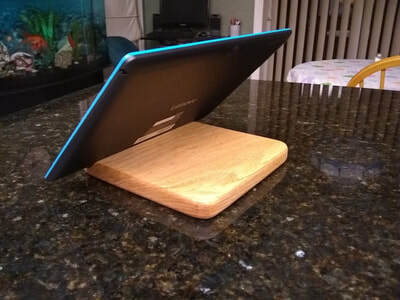 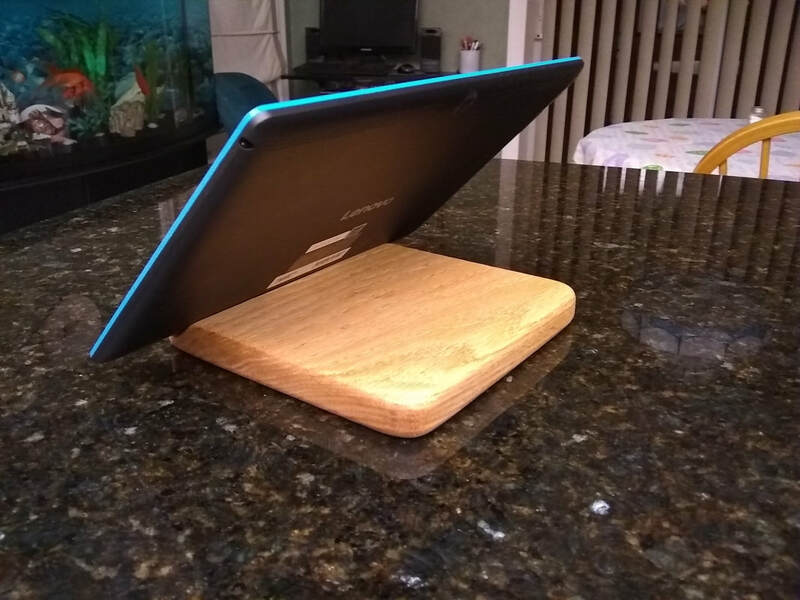 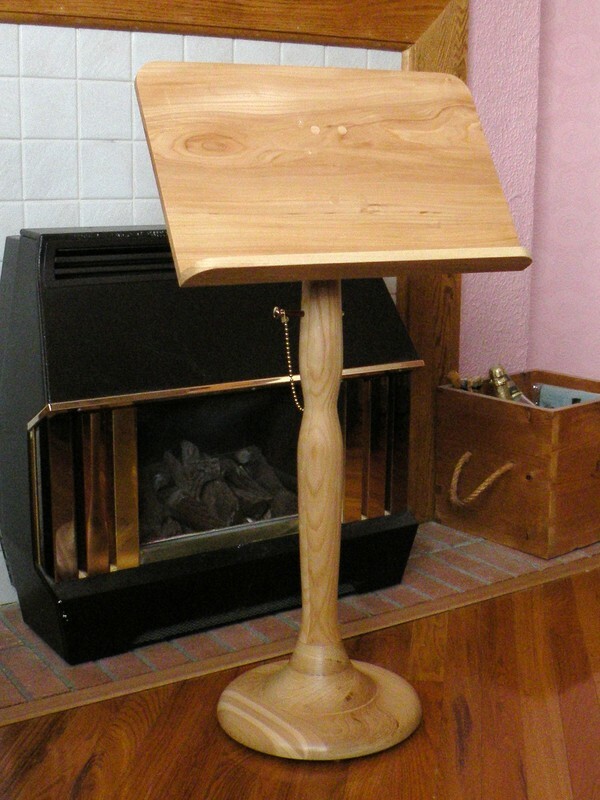 This is NOT your touring music stand, but perfectly at home in your conservatory or studio. 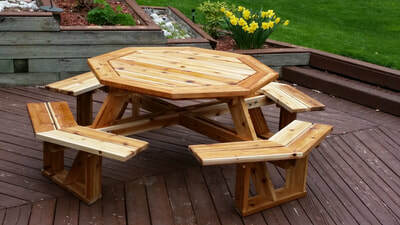 This one is available for sale. 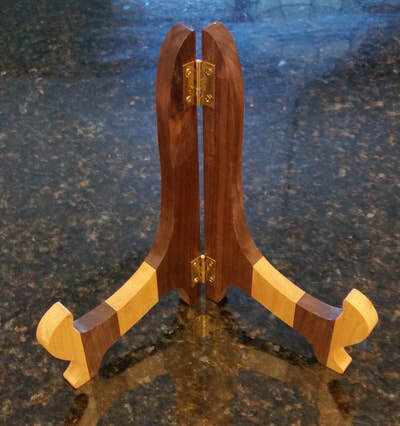 This is the third sheet music stand I have made. 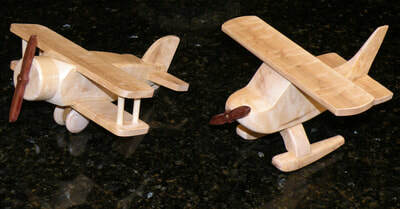 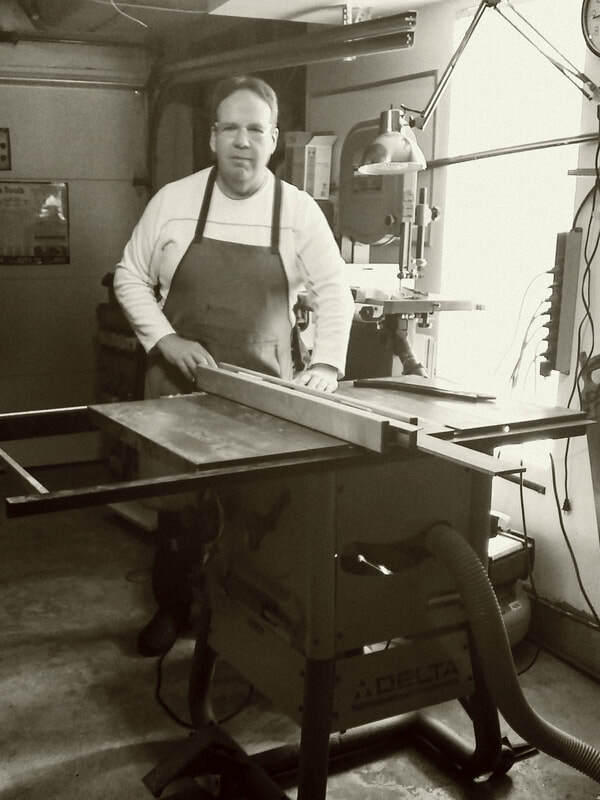 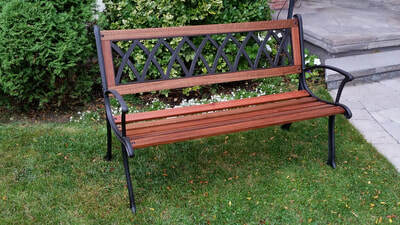 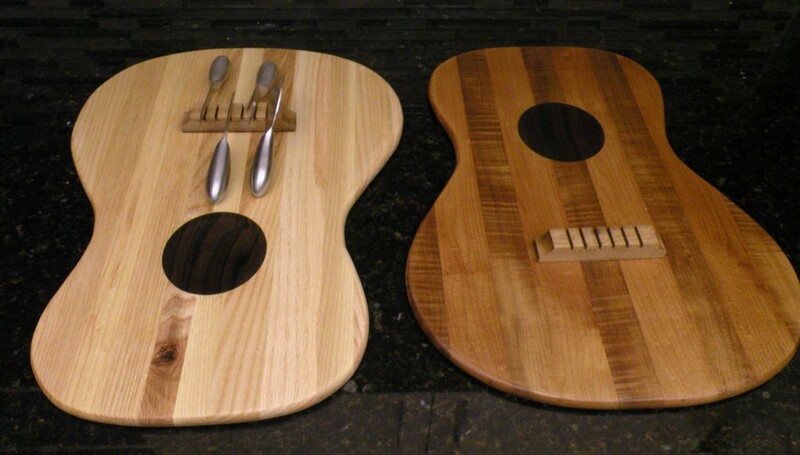 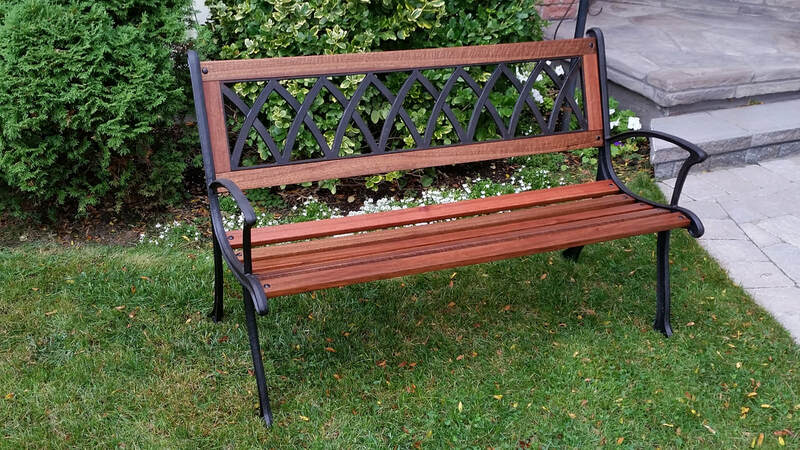 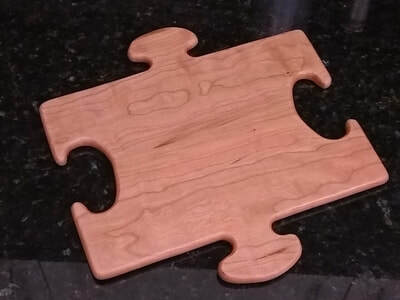 The first one was in reclaimed Elm and second in Bubinga hardwood (also called African Rosewood). 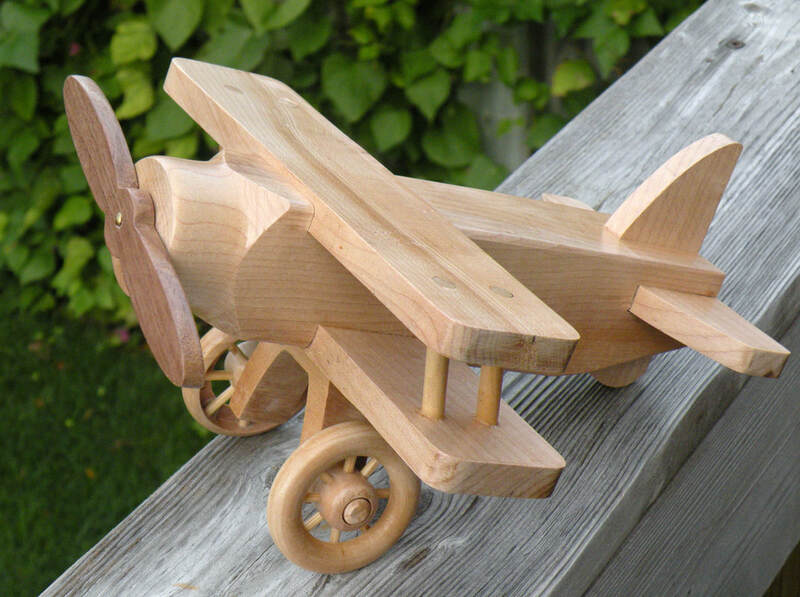 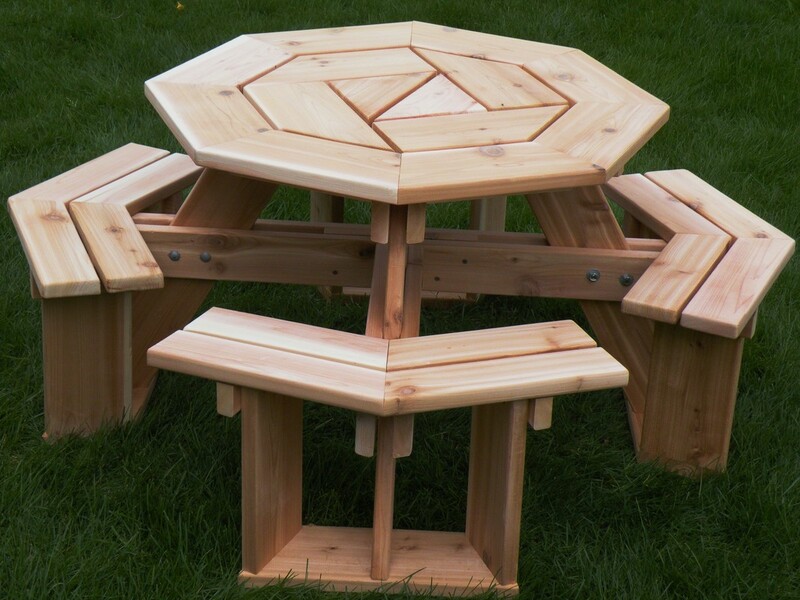 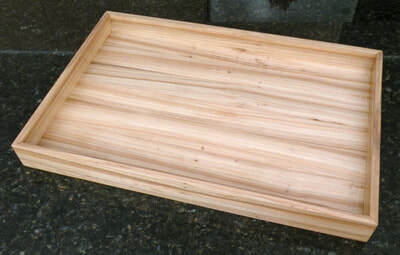 The two previous ones had bases of solid wood, this one is segmented giving it some visual interest. 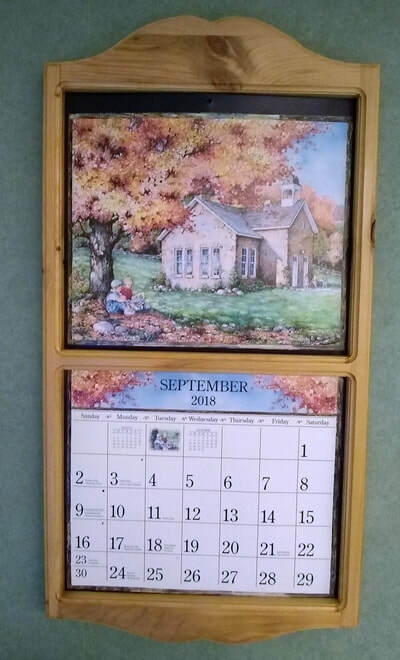 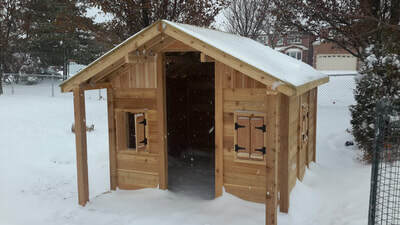 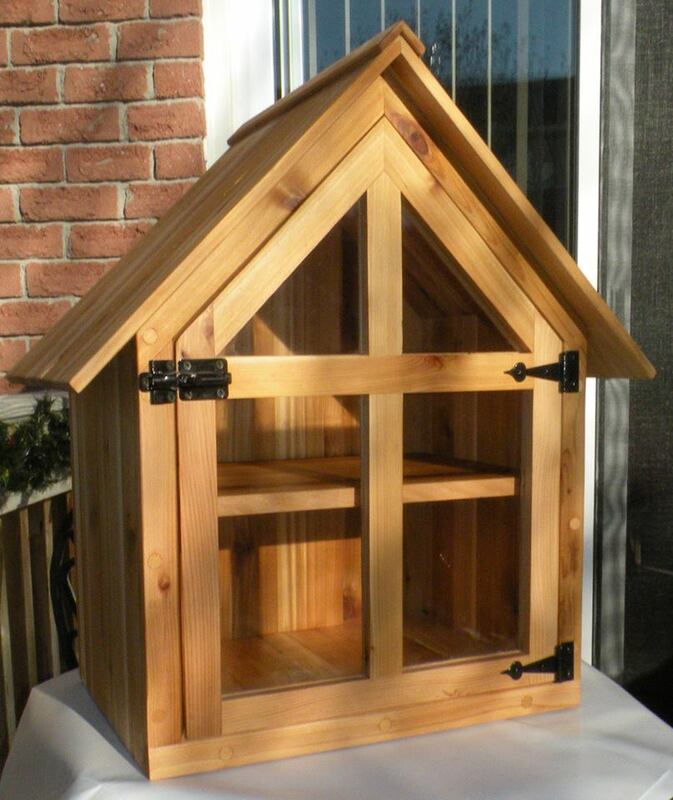 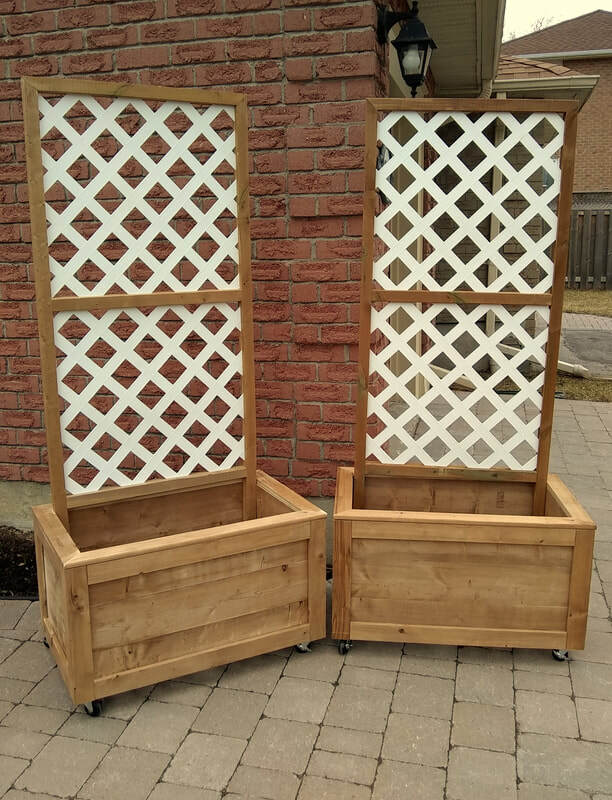 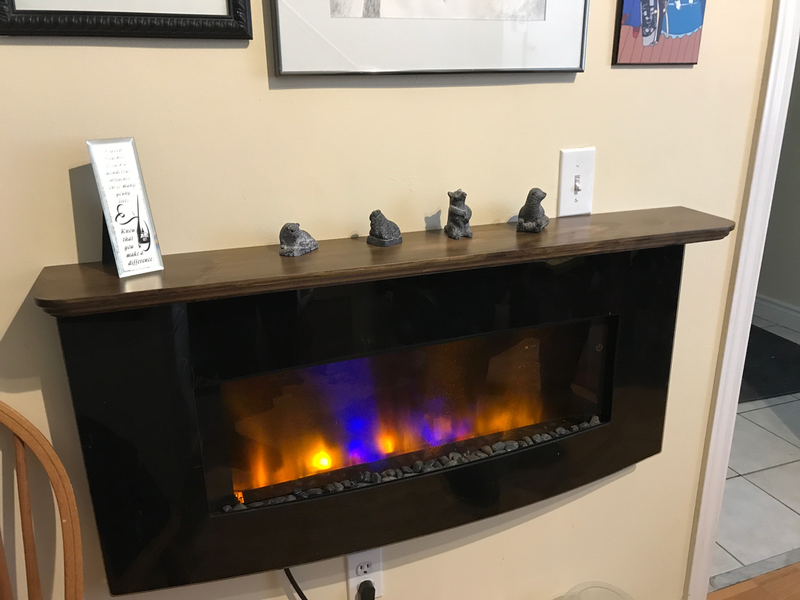 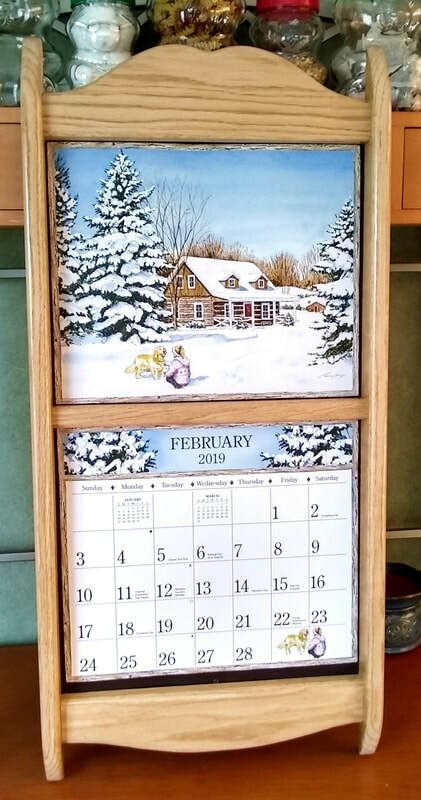 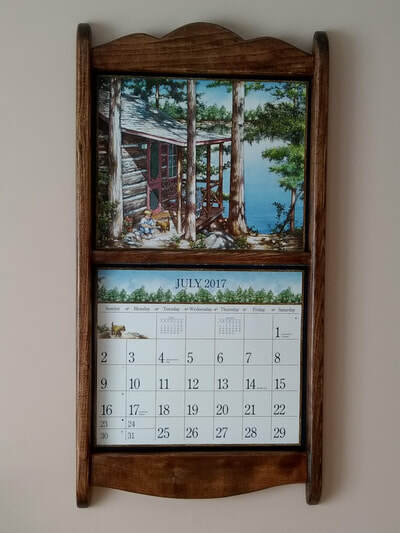 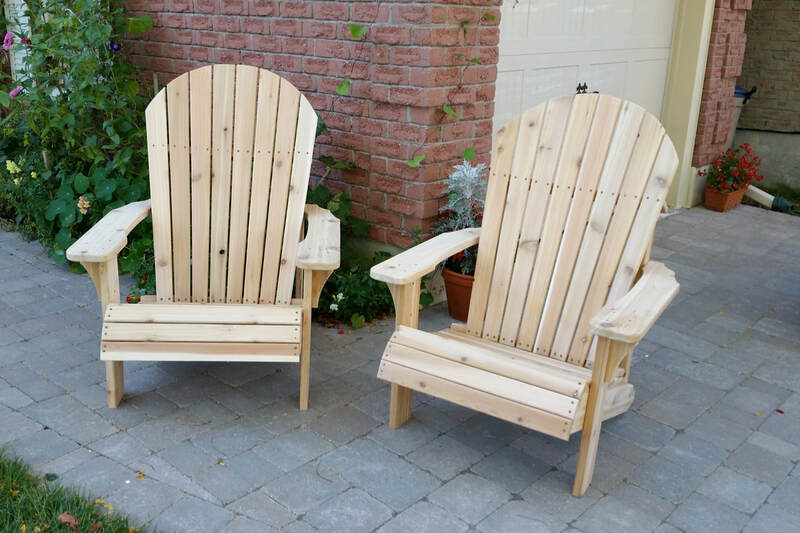 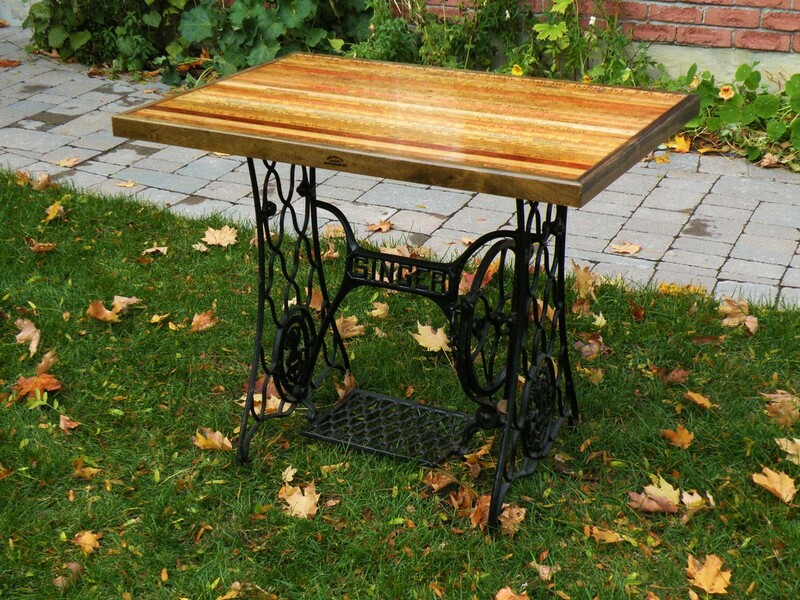 The top is made up of yardsticks collected from antique shops, flea markets and yard sales (ironically enough ) They are encased in resin and trimmed with pine from an 1860 Scarborough heritage building. 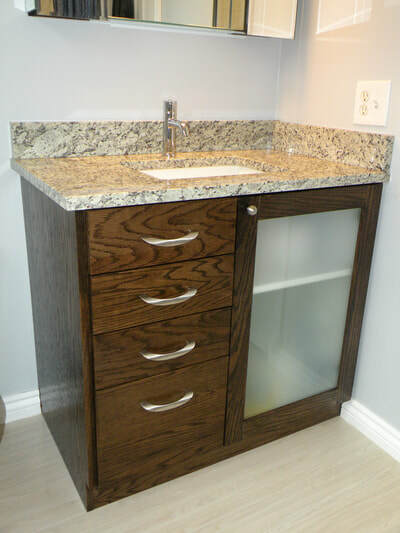 The drawer units is all modern, maple veneer inside, with full extension soft-close drawer slides clad the same antique pine. 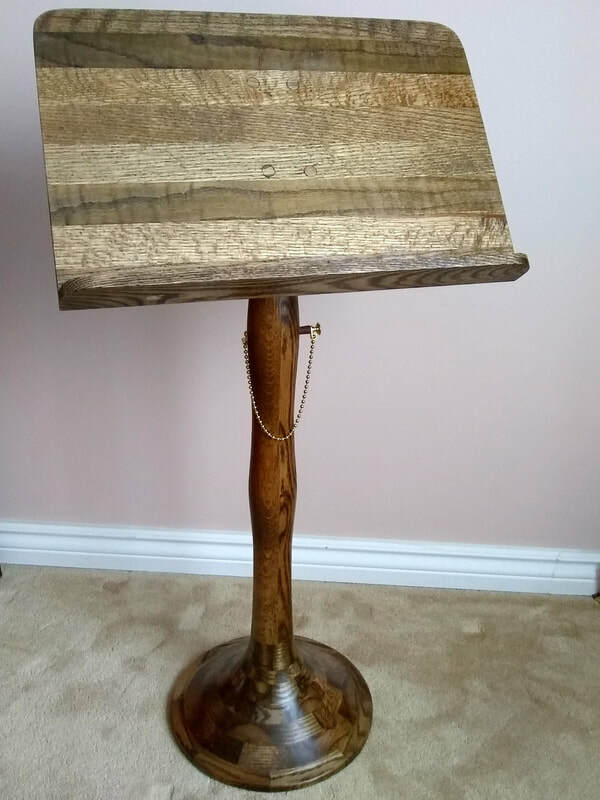 This all sits on top of an antique cast iron sewing machine stand. 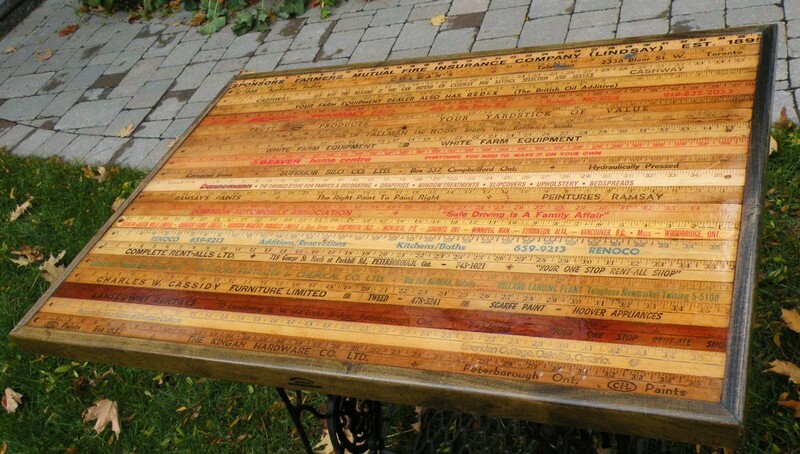 Look at the history on this table! 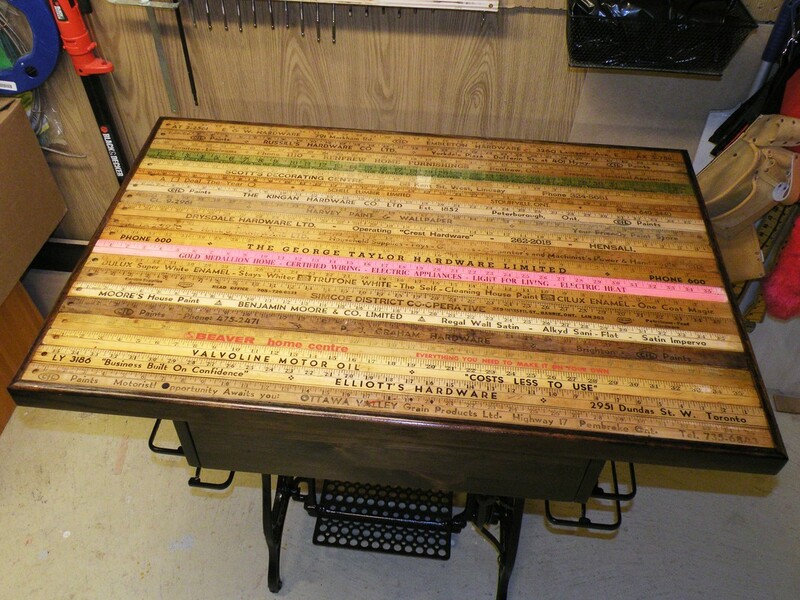 Yardsticks from all over Ontario, hardware stores, garages, co-ops, paint stores etc... Kingan Hardware Co., Peterborough, Ontario, Est. 1825. 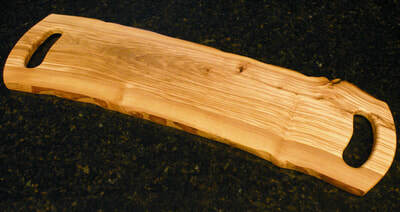 One the phone numbers on the yardsticks has only 3 digits!!! 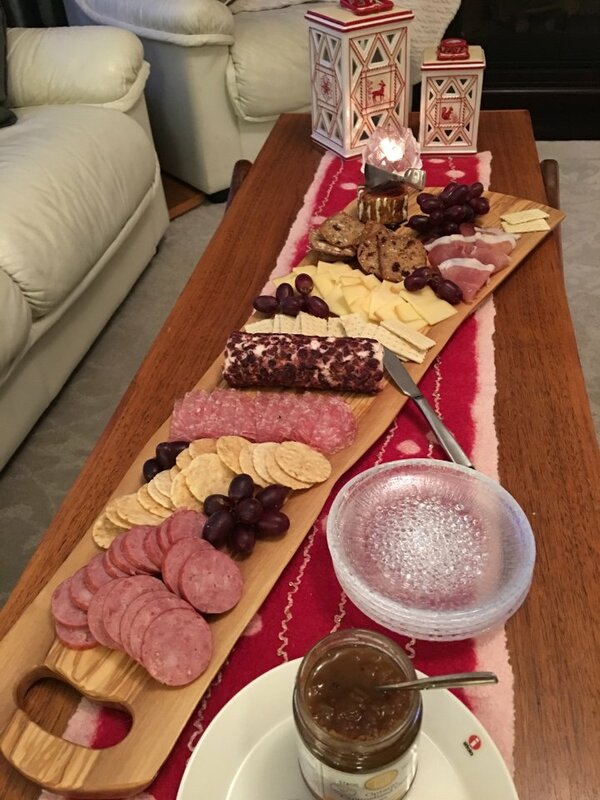 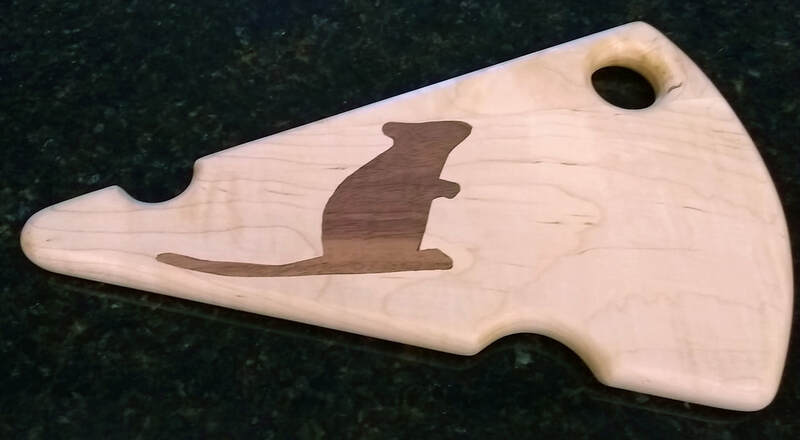 Just in case you are not sure what a charcuterie board is used for.